Let me tell you a little story about how a recipe for ginger beer nearly ended my marriage, long before it was even a marriage. (I promise, that is not the recipe posted here.) This was back when Jarod and I were first together, probably only about, oh, eight months in. 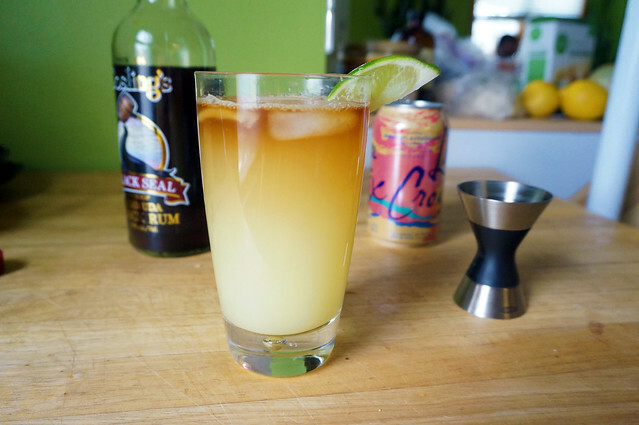 We’d just recently discovered the wonders of the Dark & Stormy, which is one of the great highballs of the world. If you don’t already know the drink, it’s some nice spicy ginger beer, mixed with a generous tot of very dark rum — legally speaking, it must be Gosling’s Black Seal, because of copyright, but I won’t tell if you sub — and a little lime. Like all the best simple recipes, a Dark & Stormy is a sort of alchemy, more than the sum of its parts: the rum balances out the spice of the ginger beer, the lime ties it all together, and suddenly a shaded back stoop in central Ohio feels like the beach. There was just one problem: getting good ginger beer. For the Dark & Stormy to really work, the ginger beer needs to have some serious bite, otherwise the drink gets insipid. And while there weren’t that many options available in the grocery store, there was Reed’s, which is perfectly acceptable. Except that it was expensive — nearly $2 for a 12 oz. bottle — and we were both in grad school, and so had little money. So I went out on the Internet. Man, the Internet has a lot of ginger beer recipes. I eventually became fixated on a recipe by mixologist Jeffrey Morgenthaler. 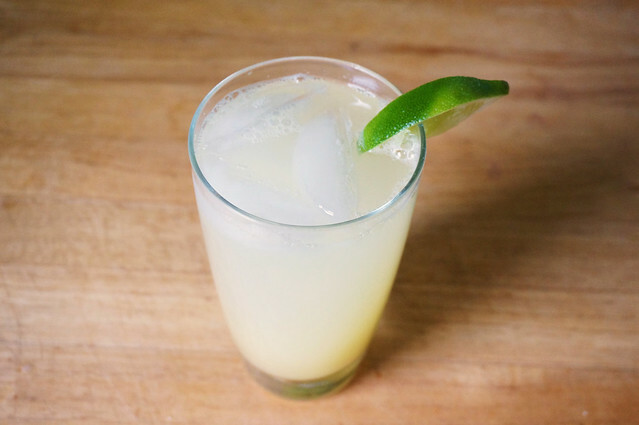 Morgenthaler uses ginger juice for a strong, fresh spicy kick, and uses champagne yeast to bottle-condition the ginger beer, which he claims gives a fine, luscious bubble structure. Geeky DIY project resulting in deliciousness? Sold. So I got some flip-top bottles as he suggested, walked over to the homebrew store for some yeast, and dragged out the juicer I’d bought at a yard sale. Juice, juice, juice; yeast, yeast, yeast; let sit for 48 hours. And so I came home, and cleaned up sticky glass, and set the other bottles to chill, all without the loss of a body part. I did eventually crack open one of the other bottles, and I’ll hand it to Morgenthaler: that bubble structure was indeed lush, and the ginger beer was some of the finest I’ve tasted. But Jarod was fairly categorical in his insistence that that recipe couldn’t get a reprise, so I went years without tasting it again. Finally, when I was making endless batches of Rum & coffee banana bread during testing, and so had lots of Black Seal around, I was determined to remake Morgenthaler’s recipe, sans deadly kitchenware. 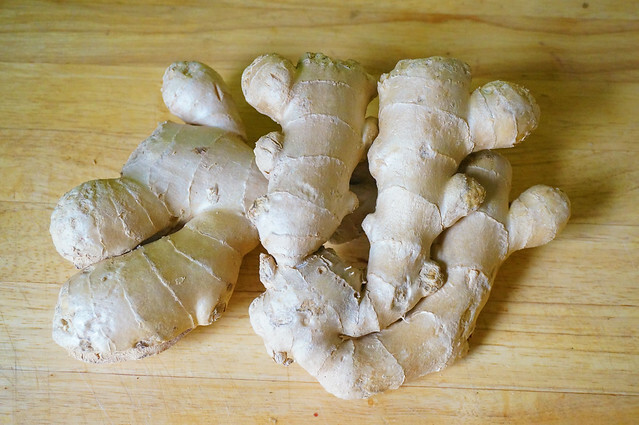 You can go from raw ingredients to ginger beer in ten minutes, instead of 48+ hours. No specialized equipment, just a regular old blender. No stovetop work — not even for making a sugar syrup, since the blender dissolves the sugar just fine. No exploding bottles to potentially end a budding romance. If you’re a a ginger beer fanatic, you may never have to buy the stuff again, and a spicy-delicious highball will always be within your reach. And if you’re not already a ginger beer fanatic, you should be! Come. Join us. We’ll be on the beach (even if only in our minds); there’s a deck chair with your name on it. After a disastrous ginger beer brewing experiment that ended with sticky glass shards all over my kitchen, I didn’t make ginger beer for years. I finally got fed up with a lack of ginger beer magic in my life, and this is the result. Spicy, beachy ginger flavor: guaranteed. Exploding glassware: nowhere to be seen. The amount of sugar controls not only sweetness, but also the ‘kick’ of the ginger. More sugar = less spicy, and vice versa. It’ll be spicy either way — this is ginger beer we’re making — but there’s still a range in how much of a bite the finished product has. 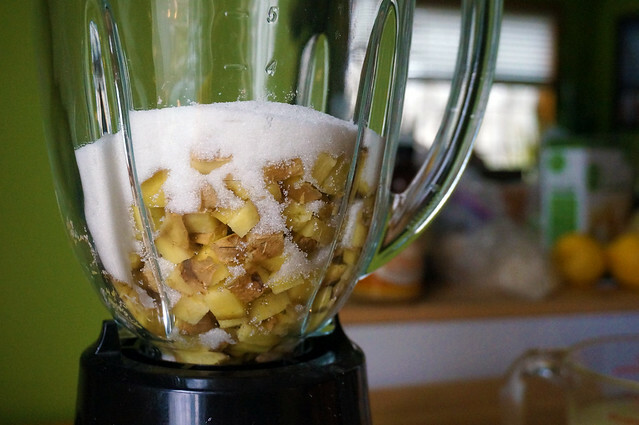 Combine all ingredients in a blender and run at the highest setting for a full minute; all the ginger should be fully broken down so that only little shreds remain. 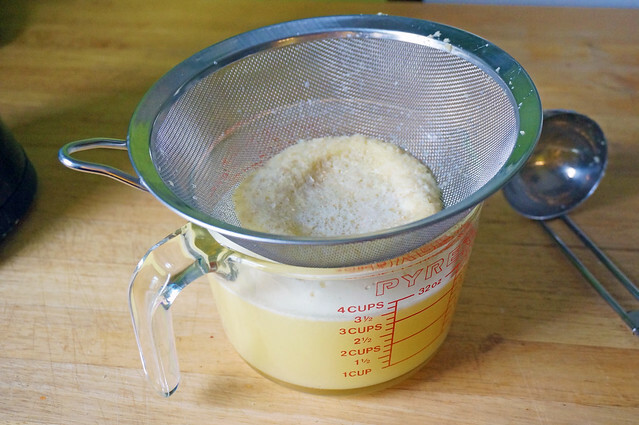 Pass through a fine-mesh strainer and/or cheesecloth to remove the solids, pressing the pulp with the back of a ladle or large spoon to get all the liquid out. Discard the solids; this concentrate can be stored in the fridge and used as needed to make individual servings. In a tall (12 oz.) drinking glass with ice, combine 1/2 cup concentrate with enough sparkling water to fill. Stir lightly to combine. If you have a 1-liter charging canister, combine 1 1/3 cups concentrate with enough water to make the total volume; charge as usual. If you have a 750 mL charging canister, combine 1 cup concentrate with enough water to make the total volume; charge as usual. Bonus recipe that I won’t officially call a Dark and Stormy because that’s a copyright of Gosling’s Rum Ltd.
To a glassful of ginger beer, add 1-2 oz very dark rum (e.g. Gosling’s Black Seal), a couple shakes of Angostura bitters, and a squeeze of lime. Relax in the Bermuda of your mind. I love you, Mike. I know what I’ll be making after my next trip to the store. Also while vacationing in Bermuda a couple of years ago, I was introduced to the little sister of the Dark and Stormy … the Light and Cloudy. Same idea, just using Goslings Golden rum. Oh so yummy! Huh, I would think it wouldn’t balance. I suppose I’ll have to try it — it’s hard work, but somebody has to do it! This was perfect timing–my stomach is rocky today, and my grocery store no longer carries Reed’s. I made it with the least amount of sugar, and it’s like a delicious ginger punch in my mouth and so nice in my stomach. Woohoo! Glad it’s both delicious and well-timed. 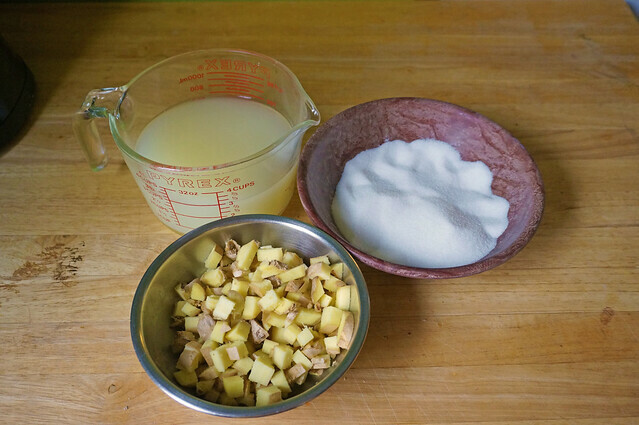 The fresh grated ginger will work fine, though if you’re trying the method as written — that is, with a blender — you can save yourself the trouble, since the motorized blades will pulverize chunks and gratings equally well. As for powdered ginger, I wouldn’t use it here — dry ginger has a deeper, mustier flavor, and I enjoy the light freshness of the fresh. But if you think you’d like the dried flavor, feel free to try it! I really need to give this a go! I’m a total ginger junkie and I find that the store-bought options often don’t have enough kick for me but assumed it would be really difficult to make! Thanks for sharing your recipe! It’s funny: I’ve never seen another recipe that does it like this. (Though just you wait: now that I write that, I’ll immediately see a half-dozen!) And while purists may scoff since it’s not brewed, I love it and have drunk an unseemly amount of the stuff recently. Enjoy!